Winx will have a maximum of 12 rivals when she returns to racing at Randwick in the G1 Winx Stakes. Winx has had a solid work-out at Rosehill ahead of her much anticipated return to the track in the race named in her honour. Race jockey Hugh Bowman accompanied the mare in her final piece of fast work on Monday morning ahead of Saturday’s Group One Winx Stakes (1400m) at Randwick. Previously known as the Warwick Stakes and run at Group Two level, the race was upgraded to recognise the champion who has won the race for the past two years. She will be shooting for an Australian record 26th consecutive win on Saturday and her 19th at Group One level. “I am very happy with her preparation work and Hugh said she feels great ahead of Saturday’s race at Randwick,” Waller said. There were 13 horses nominated on Monday for the race including five of the mare’s stablemates, D’Argento, Libra, Religify, Single Gaze and Unforgotten. 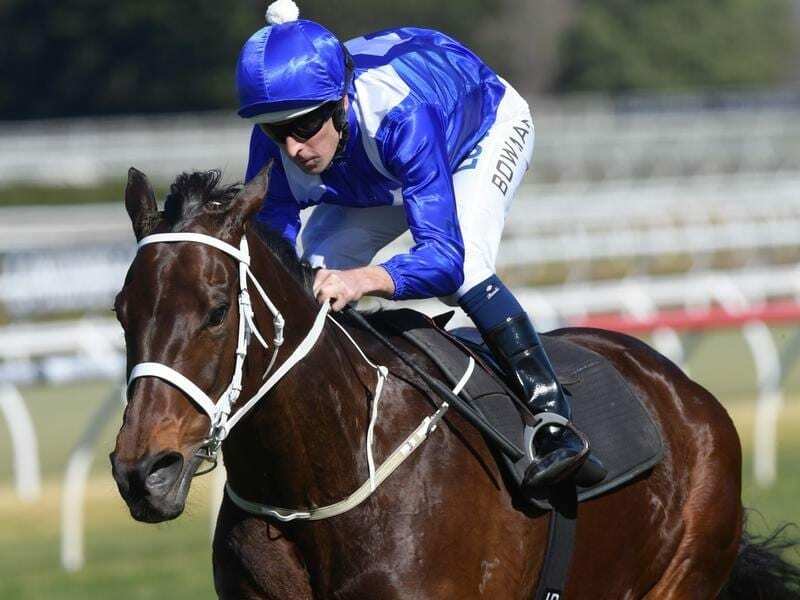 The TAB’s opening market reinforces the public’s belief Winx cannot be beaten with the mare at $1.10 and the next best, Rosehill Guineas winner D’Argento. at $11. Godolphin’s Alizee, a last-start winner of the Queen Of The Turf, is at $15 with Victoria Derby winner Ace High a $26 chance. Trained by Davis Payne, Ace High also won last year’s Spring Champion Stakes and was nosed out of the Australian Derby in April by Levendi. Ace High is the leading antipodean-bred contender for the Caulfield and Melbourne Cups. He is the second favourite behind import Kings Will Dream for the Caulfield Cup on October 20 at $15 and is on the third line of betting at $21 for the Melbourne Cup. “He is an out and out stayer and is on target,” Payne said. In the second of his two trials last week leading into his return, Ace High finished second to Alizee and in front of Winx and D’Argento.